Sometime in the mid 80s, I received my first cookbook: the Better Homes and Gardens New Junior Cookbook. I don’t remember cooking a lot from it, but I do remember looking through its pages a lot. The personal pizzas and just-for-fun salads that embellished pear halves with other foods like carrots and marshmallows until the pears looked like mice had me particularly smitten. Fast-forward 30-plus years, and I’m the proud owner of my second kids cookbook: The Ultimate Kids’ Cookbook by Tiffany Dahle. I got to know Tiffany through Charlotte Food Bloggers, and her first cookbook is as friendly, bright, and cheerful as she is. Like her blog Peanut Blossom, The Ultimate Kids’ Cookbook is full of quality content and all-around well done. One quick note before I continue my praise: I received a free copy of The Ultimate Kids’ Cookbook to review. I liked it so much that I bought a second copy to give to the kids in my life. Organized not only by meal, but by the skills it takes to get a meal on the table, kids can make huevos rancheros as they learn to scramble eggs or confetti veggie soup as they learn beginner knife-safety skills. 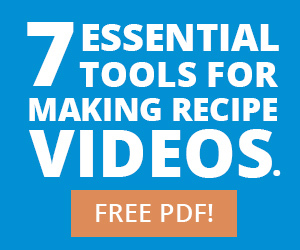 Recipes feature instructions that let kids take the lead as parents to step in to help when appropriate. Following one of these recipes would be a fun way to spend a little time with the inspiring cooks in your life. The sections on comfort foods – where I found this mini meatball skillet recipe – and make your own restaurant foods were especially fun. Homemade cashew chicken is next up on my list! The mini meatball skillet was an easy way to pull together a hearty meal fairly quickly, and I chose it because I knew with meatballs, I had options. I could eat them alone, with pasta, or in a sub throughout the week. 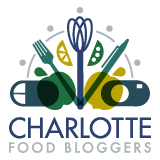 To preview some more recipes my Charlotte food blogger friends have made from Tiffany’s cookbook, check out pumpkin waffles for breakfast, Greek lemon drop chicken soup for lunch, and an easy BBQ chicken pizza for dinner. Then remember your meatballs for dinner. Enjoy! Stir together the breadcrumbs and milk in a large bowl and allow the mixture to soak for a minute or two. Lightly whisk the egg in a small bowl and then add to the breadcrumb mixture in the large bowl. Add the beef, pork, garlic, parsley, nutmeg, and Parmesan cheese, salt and pepper to the large bowl and use your hands to gently combine the ingredients. Be careful not to overwork the mixture or the beef will get tough. Roll a bit of the mixture between your palms to form a meatball just smaller than a golf ball and set it aside on a plate. Repeat until all of the meat is formed into balls. Add the meatballs to the skillet and cook until browned on all sides, about 5-7 minutes. Reduce the heat to medium low and pour in the jar of marinara sauce. Cover the skillet with a lid and allow the meatballs to simmer in the sauce until cooked through, about 15-20 minutes. Remove from the heat and sprinkle with the shredded mozzarella. Allow the dish to rest for about 10 minutes before serving, giving the mozzarella time to melt. You can use 1 pound ground beef for the meatballs if you don't want to buy 1/2 pound of both ground beef and ground pork.